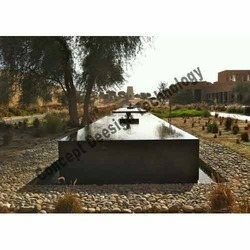 The team of our company proposes a wide assortment of outdoor fountains to our valuable clients. Reflecting pool is one of the finest and beautiful concept of the fountains, this reflecting pool gives the natural beauty and create the visualization as jal mahal. Attractive in look and innovative in designs, these are fabricated using latest technology. Our designs are highly durable and reliable in nature. In addition, these are widely used in multi national companies, hotels, spas, farmhouses, multinational buildings, malls etc. Looking for Reflecting Pool Fountain ?